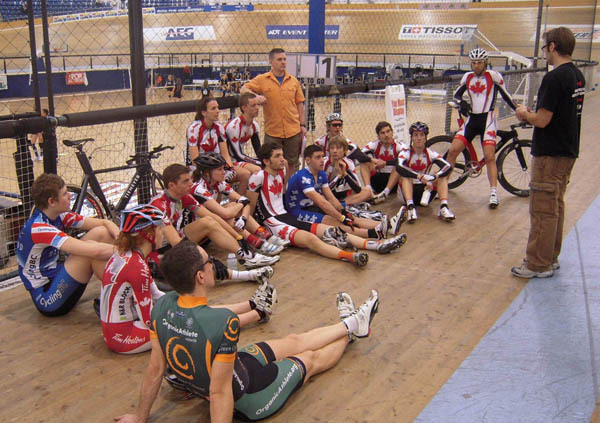 The Canadian Cycling Association is hosting another training camp in LA at the Home Depot Centre. The focus of this camp is on the team pursuit with 13 men and 3 women working towards making World Cup and World Championship teams in the upcoming seasons. Most of the riders are coming from training on trainers over the winter months in Canada and, combined with some lost luggage and jet lag, were in need of some energy to pick up their spirits when they arrived. “ The Californian sun and a coffee at our neighbourhood Starbucks ... makes everybody happy” commented Jean-Michel Lachance. 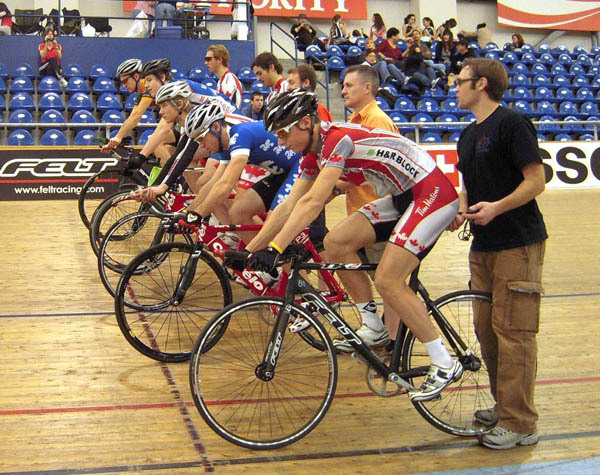 A group of dedicated track cyclists are taking part in the camp and are looking to benefit from training with each other in a supportive and competitive environment. The CCA has been organizing similar camps almost every month since September and the improvements in speed and ability are apparent. 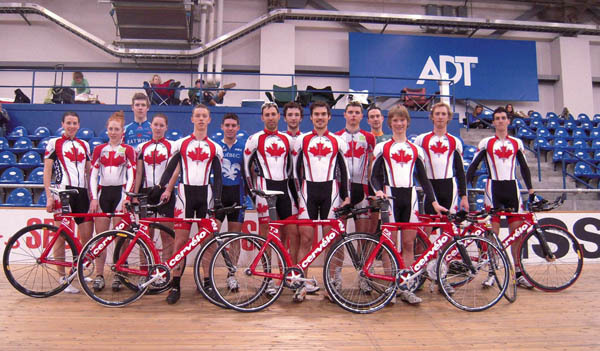 All the riders are focused on future success with the Canadian National Team, knowing that more focus will be put on teams with the change in the Olympic events.